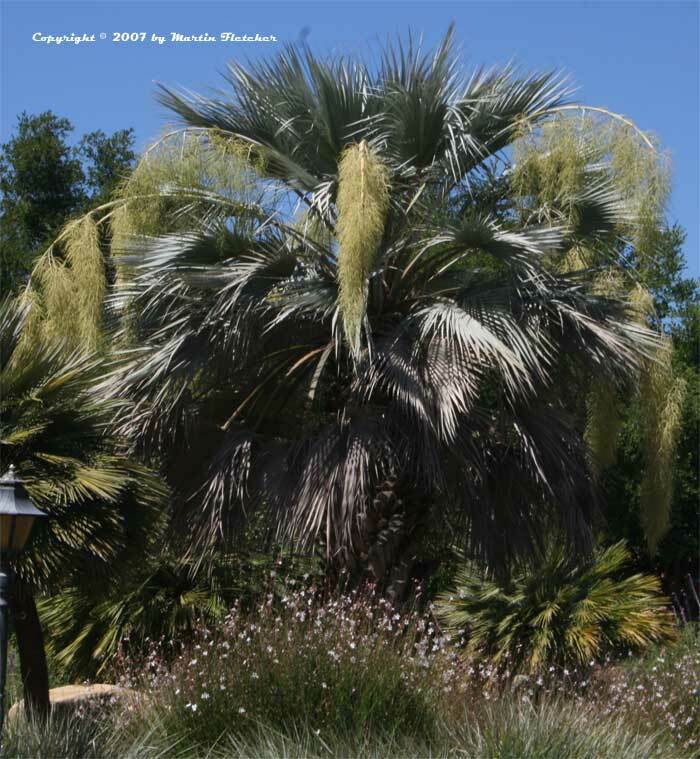 Brahea armata adds a different character to the landscape when mixed with other tropical plants. Gray plants are very popular. Brahea armata is a slow growing palm. It will grow 6" to 1 foot of trunk per year. Salvias, lavenders, artemesias all fit quite well with this beautiful palm tree. I like to contrast the bold foliage texture of Brahea armata with other soft blue-gray plants. Dark reds and browns make a striking contrast. Flowers and foliage of Brahea armata the Mexican Blue Palm or Blue Hesper Palm. High resolution photos are part of our garden image collection.